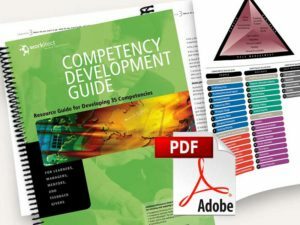 The Competency Development Guide, also know as the Resource Guide for Developing Competencies, is a workbook that helps organizations implement competency-based human resource systems, and helps individuals improve their competencies and opportunities for career advancement. This 280-page, 8.5” x 11″, spiral-bound workbook provides background on competencies and instruction on setting competency development goals, along with specific suggestions for developing each of 35 different competencies. 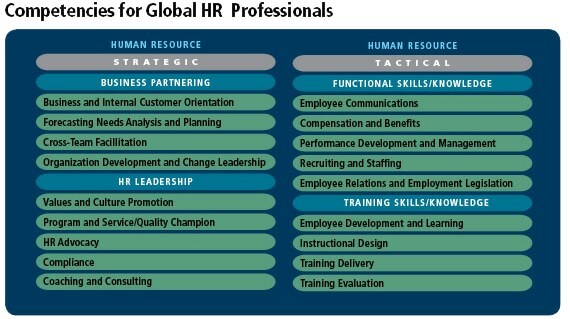 Developing competencies can be initially overwhelming for even the most experienced HR practitioners. 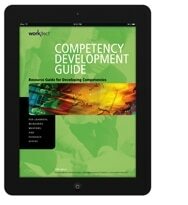 Workitect’s Competency Development Guide – Resource Guide for Developing Competencies provides you with a helpful starting point, as well as in-depth information to guide you through the entire process of developing competencies. Whether you’re looking for a ready reference guide or a comprehensive resource, this 280-page, 8.5” x 11″, spiral-bound workbook (e-versions available) will give you the information you need to develop 35 competencies. An intellectual property license that includes Word documents that can be easily modified to reflect an organization’s specific requirements. Subscriptions to the online eDeveloper™, an interactive elearning program that incorporates content from the Competency Development Guide. Taking the time and using the right tools to develop competencies can help you improve hiring decisions, increase productivity and enhance organizational performance. These extensive guides provide you with detailed information to streamline competency development and ensure effective implementation. The time you’ll save by relying on the advice and examples in this manual will more than cover the cost of ensuring that you, your staff, and key managers have ready access to the tools and information they need. The objective of this program is to improve each person’s performance in terms of their position-specific competencies, and the organization’s overall performance against those competencies, through feedback, coaching, and training. These organizations have acquired intellectual property licenses that have enabled them to provide customized guides for all employees throughout their organization. The Competency Dictionary license that is included with this license has also enabled them to build job competency models and competency-based HR and talent management applications. A Competency Development Guide license includes licenses for the Competency Dictionary and Competency Interview Guides. Are You Including the Right Competencies In Your HRIS? 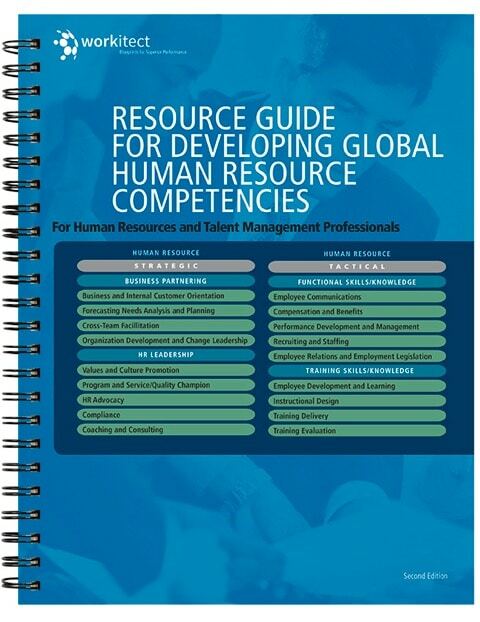 The Resource Guide for Developing Global HR Competencies is the second edition of a 166-page spiral-bound book that provides a comprehensive listing of resources for developing 18 strategic and tactical HR competencies required of Human Resource professionals working anywhere in the world, including in locations with limited access to resources. 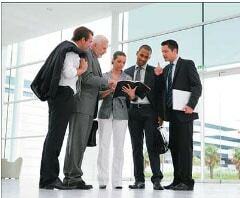 Consulting Services – Need help developing and implementing competency models or applications? Teresa Weiby, Competency Practice Lead, Cargill, Inc.